HomeAgricola-Build your farm- One the most popular multi-player board games. 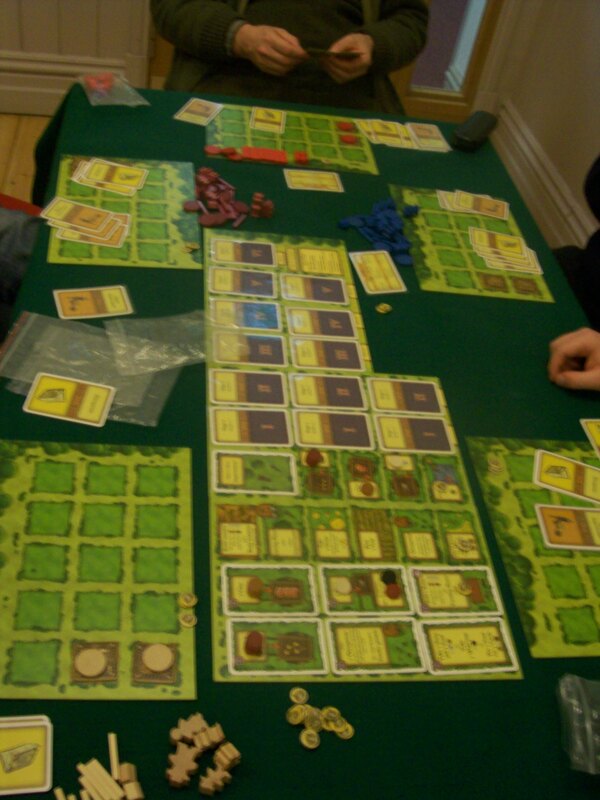 Agricola-Build your farm- One the most popular multi-player board games. In Agricola, you’re a farmer in a wooden shack with your spouse and little else. On a turn, you get to take only two actions, one for you and one for the spouse, from all the possibilities you’ll find on a farm: collecting clay, wood, or stone; building fences; and so on. You might think about having kids in order to get more work accomplished, but first you need to expand your house. 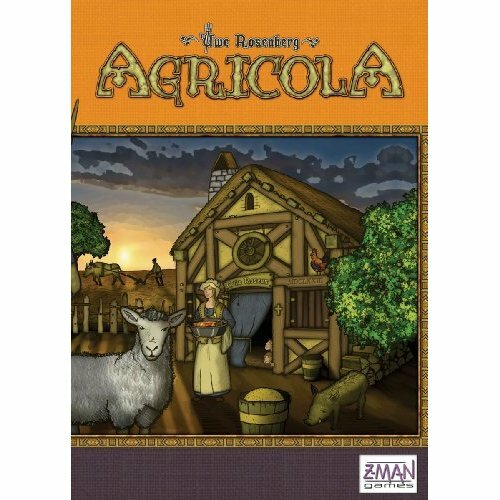 First published 2007 this Agricola has become an award-winning game. Boardgamegeek reviews it highly. The game at the Headingley Games Club was one of many. The five players had close results-22, 40, 41, 42 and 44 points.